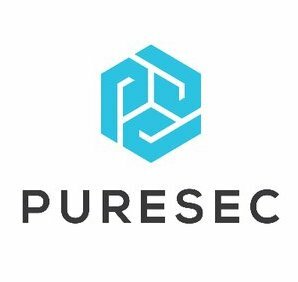 Tel Aviv, Israel-based startup PureSec emerged from stealth mode on Wednesday with a security platform designed for serverless architectures and a guide that describes the top 10 risks for serverless applications. Founded by Shaked Zin (CEO), Avi Shulman (VP of R&D) and Ory Segal (CTO), PureSec raised $3 million in May 2017 in a seed round led by TLV Partners. PureSec’s product is powered by the company’s Serverless Security Runtime Environment (SSRE) technology, which provides a trusted and safe environment for serverless functions. Applications built on serverless architectures do not require an always-on physical or virtual server. Instead, resources are provided dynamically as Backend-as-a-Service (BaaS) and Function-as-a-Service (FaaS) services. Amazon’s AWS Lambda, Microsoft’s Azure Functions, Google Cloud Functions and IBM BlueMix Cloud Functions are the most popular serverless platforms. Using serverless architectures has many advantages, including the fact that developers can focus on product functionality without having to worry about the server side, including when it comes to applying security patches. However, the developer is still responsible for ensuring that the application is resilient to attacks. PureSec’s product aims to address this by providing runtime protection via two layers: a firewall and a behavioral engine. “The first layer, the Serverless Function Firewall, makes sure that input going into the function is safe for usage as event input. It can detect application layer attacks that are relevant for serverless architectures - like NoSQL Injections, SQL Injections, XSS, Local File Inclusion, Runtime Code Injections, etc. It is working on the event-data for the function (the arguments), so it is protocol agnostic and can handle any kind of event triggers (it's not limited to HTTP),” Segal told SecurityWeek. “Once the function starts executing, our behavioral detection engine monitors ‘operations’ and ‘interactions’ performed by the function in real-time, making sure that only good behaviors are performed. Our research team spent time modeling good behavior, as well as malicious behavior, and we can detect attempts to subvert function logic, attempt to access files in an unauthorized way, attempts to download malware or execute it, or leak data. This is purely behavioral and does not rely on signatures, in order to provide 0-day protection. It's basically positive security applied to function behaviors,” he added. PureSec’s product, currently available in pre-Beta, has already been tested by various organizations, including a very large US retail company, several global ad tech firms, and some US-based cloud technology firms. Some large US-based companies migrating systems to AWS Lambda may be signed up soon. The company could not provide any information on pricing and general availability. PureSec has also published a guide describing the top 10 risks for applications built on serverless architectures. The guide, designed for both security and development teams, provides mitigations, best practices, and comparisons to traditional applications. Inspired by the OWASP Top 10, the document covers issues such as function event data injection, broken authentication, insecure deployment configuration, over-privileged function permissions and roles, inadequate function monitoring and logging, insecure third-party dependencies, insecure application secrets storage, denial-of-service and financial resource exhaustion, serverless function execution flow manipulation, and improper exception handling and verbose error messages. A study conducted by the company showed that the adoption of serverless architectures has seen exponential growth, but there is a significant gap in knowledge of serverless security.